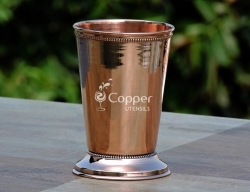 Perfect for drinking mint julep in style. 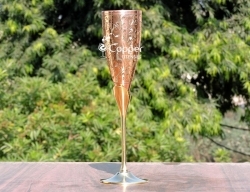 Fine detailing on the outside for added appeal and style. 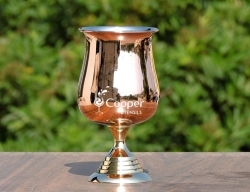 Round shape for better grip. 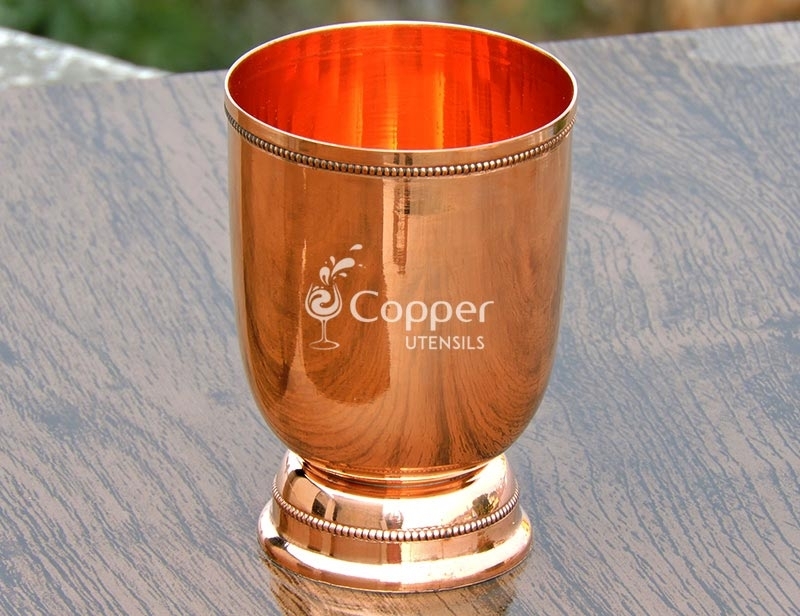 This copper mug is crafted to serve mint julep but you can also use it to serve all sorts of cold beverages such as lemonade and sodas as well. 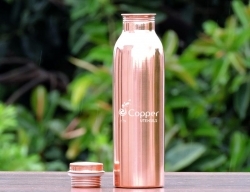 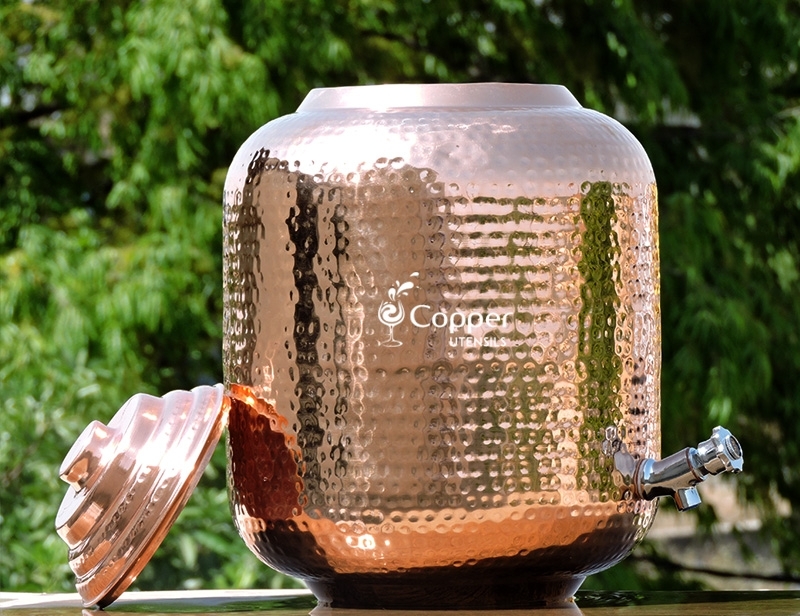 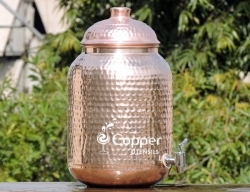 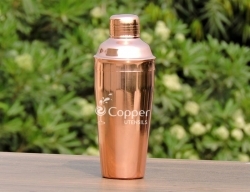 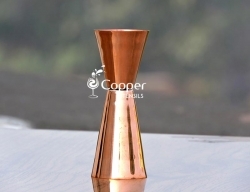 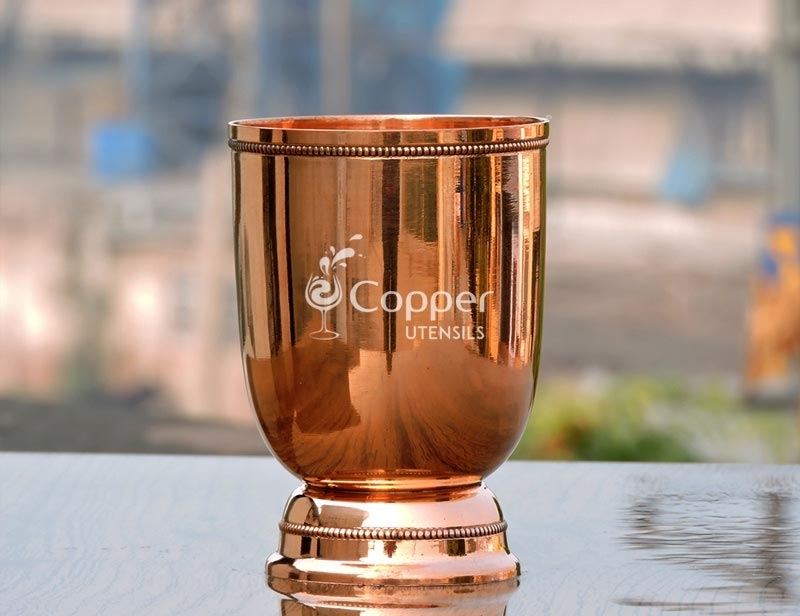 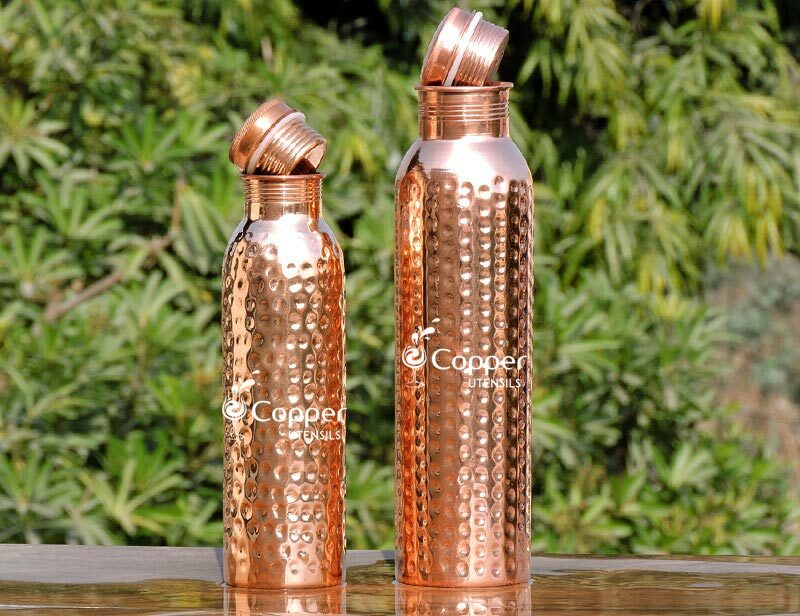 The copper metal allows the drink to stay cold for longer and enhances the experience of having a drink. 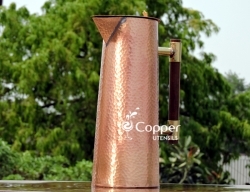 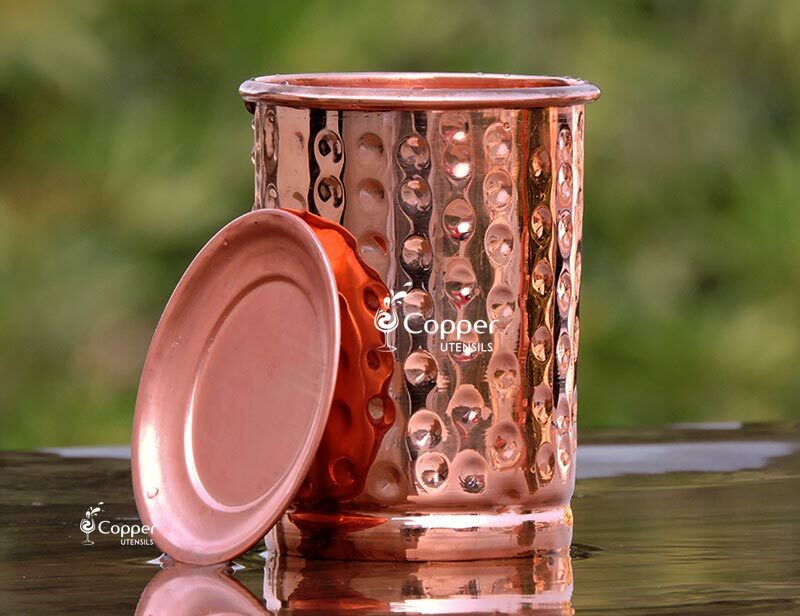 The mug is crafted from pure copper and is perfect for those who love to keep things trendy and stylish. 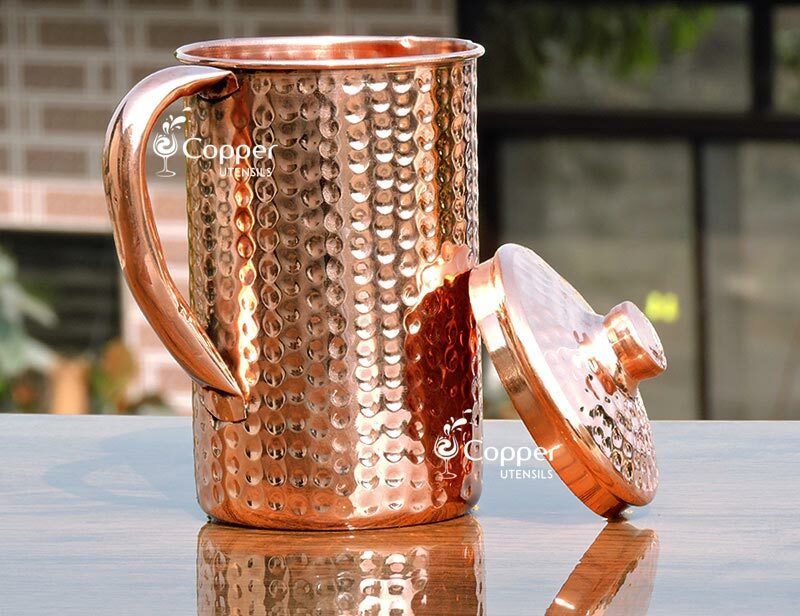 The shiny surface and fine detailing on the outer wall adds to the beauty of the mug. 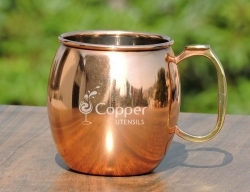 The mug comes with a wide bottom to prevent spillage. 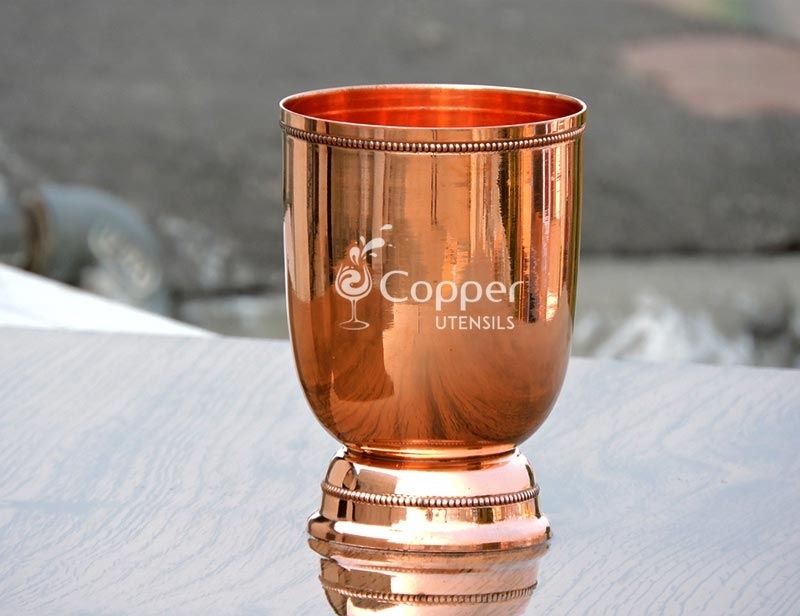 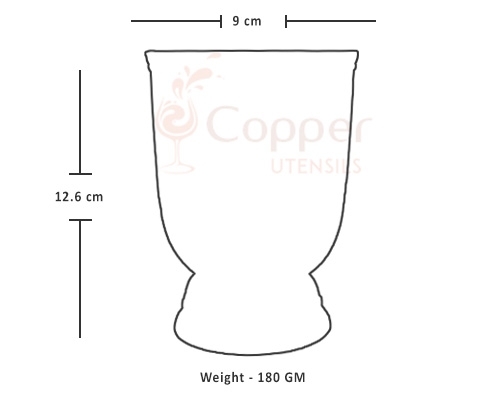 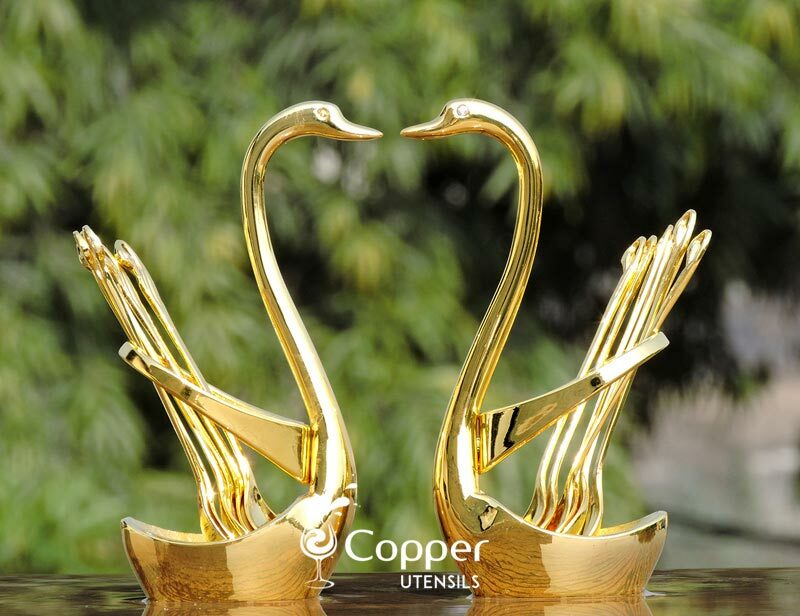 One of the most common problems which may occur with using copper utensils is the discoloration. 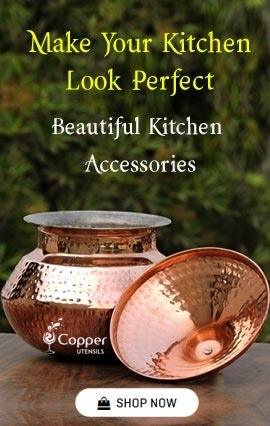 Products crafted from pure copper are ought to fade a little with the passage of time. 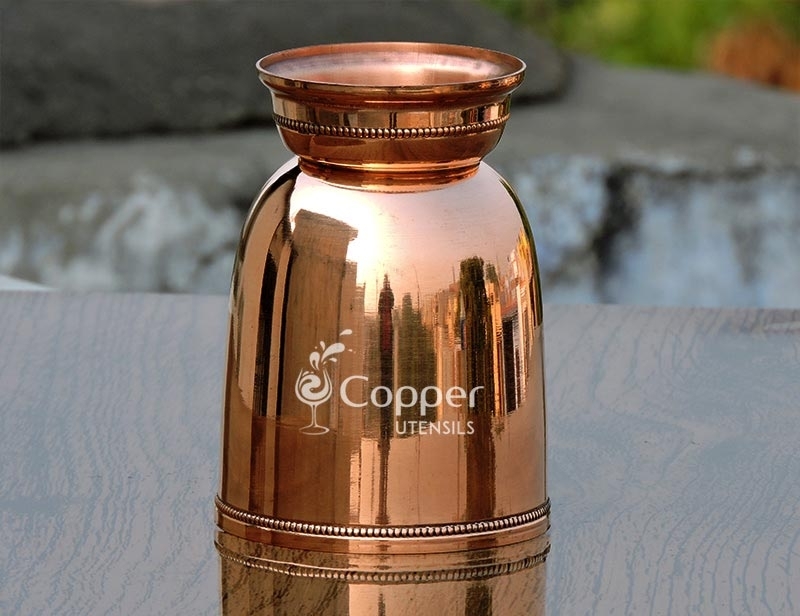 To keep your copperware shiny and as good as new, just follow the instruction leaflet provided with the product to clean it. 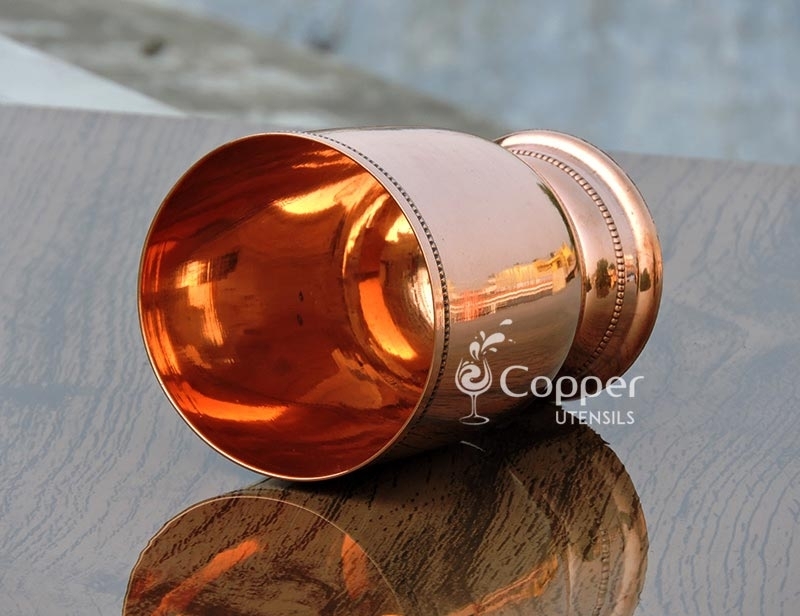 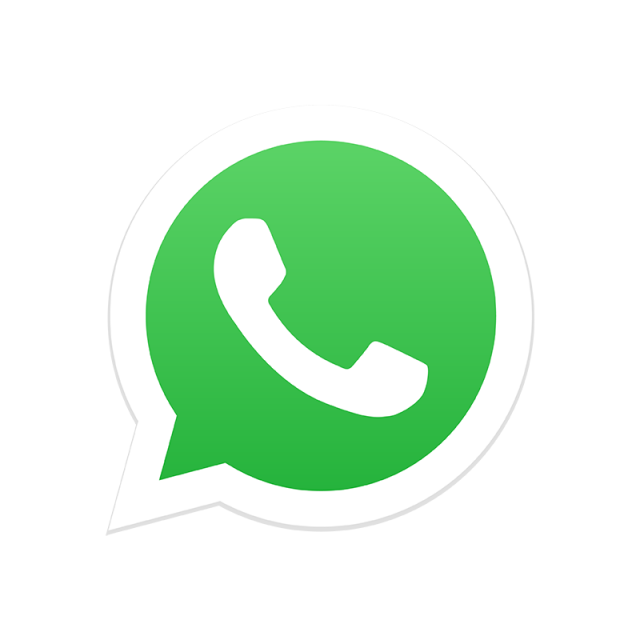 Just make sure to never rub the surface of the product with an abrasive scrubber to clean it.